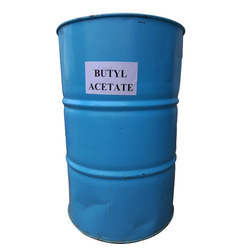 Butyl Acetate is an organic compound with the chemical formula BuOC2H4OH (Bu = CH3CH2CH2CH2). Usage/Application: Flavours, Fragrances and Food industry. 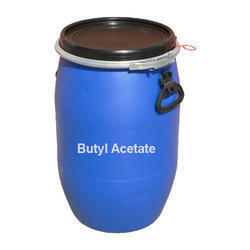 We have an exclusive range of Butyl Acetate offering to our clients. Our offered products are quality tested by our expert professionals to ensure safe and effective usage. We have been trying to reach the pinnacle of success by delivering quality assured products. Butyl ethanoate, Acetate de butyle & Acetato de n-butilo . Our Butyl Acetate is widely used in different food products like cheeses, candy ice- cream and baked products.